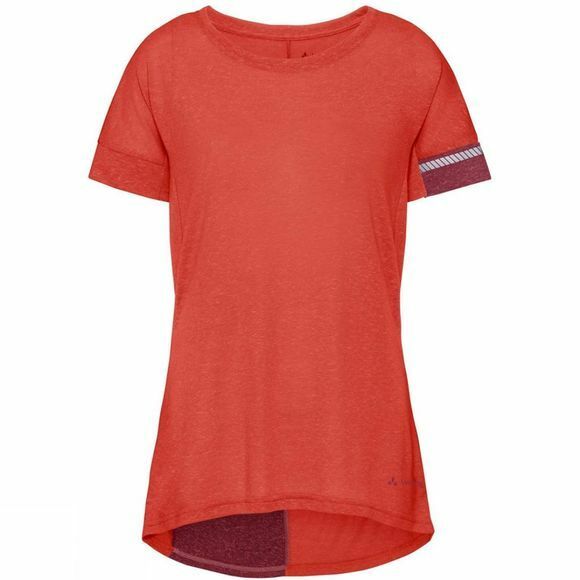 The Womens Cevio T-Shirt from Vaude is a casual, short sleeve linen shirt is made for hot summer weather. Linen is blended with synthetic fiber to absorb body moisture and transport it quickly outward. The result is a pleasantly cool microclimate, even in the hottest weather. The shirt features a small back pocket with zip in a contrasting color matching the left sleeve for valuables. 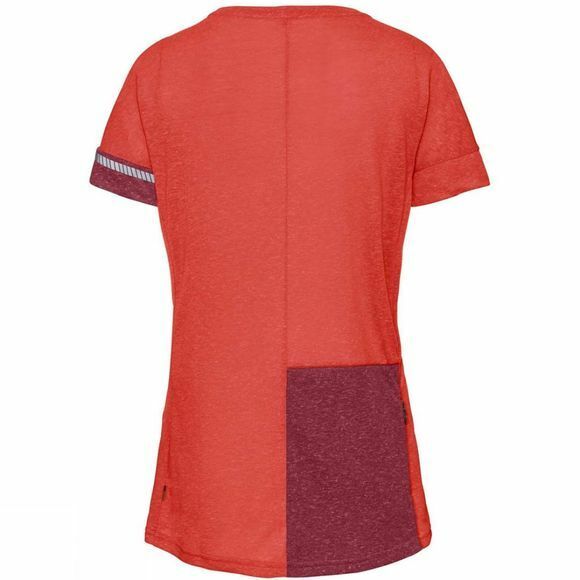 Reflective elements are printed on the left sleeve for cycling in traffic; turn up the sleeve and you'll be more visible in low light conditions. The Vaude Green Shape label stands for environmentally friendly, functional products made from sustainable materials.